Old is Gold. That says it all! 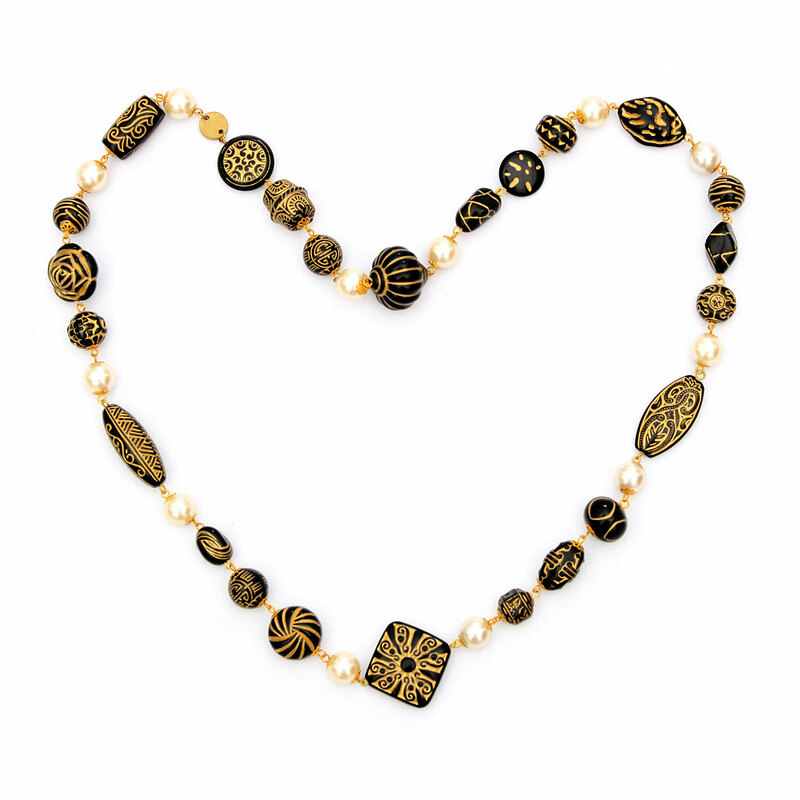 This black and gold necklace has an antique gold finish and alternating pearls.